Minimio. Dutch silver jewelry. Inspired by typical Dutch heritage. Transformed into modern designs. Available in selected stores all over the Netherlands. 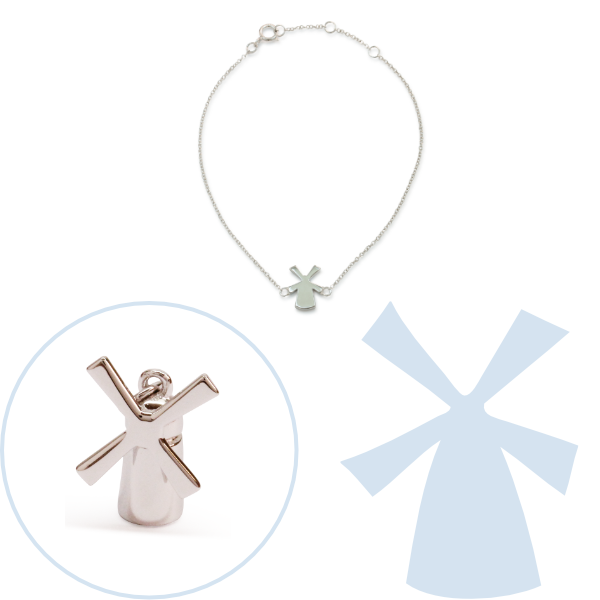 Minimio offers a silver windmill charm. And both a necklace or bracelet with a windmill pendant. An average of 1000 kilometers, that is what a Dutchman rides on his bike yearly. Students ride this distance even double. How come? We think because its easy and cheap. 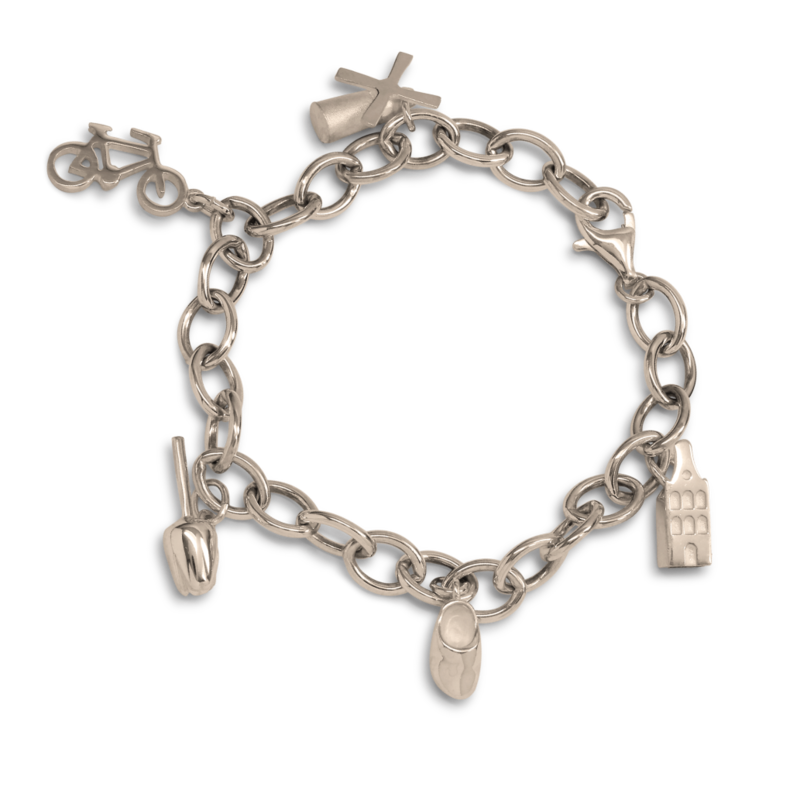 In the Minimio collection is a silver bicycle charm. 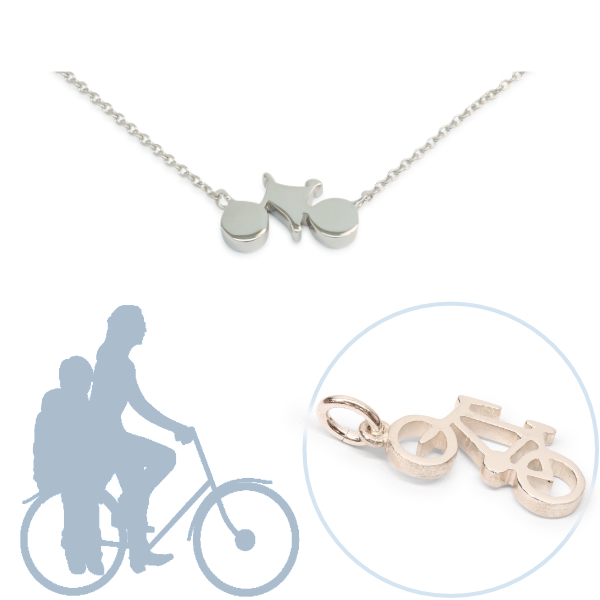 And both a necklace or bracelet with a bicycle pendant. 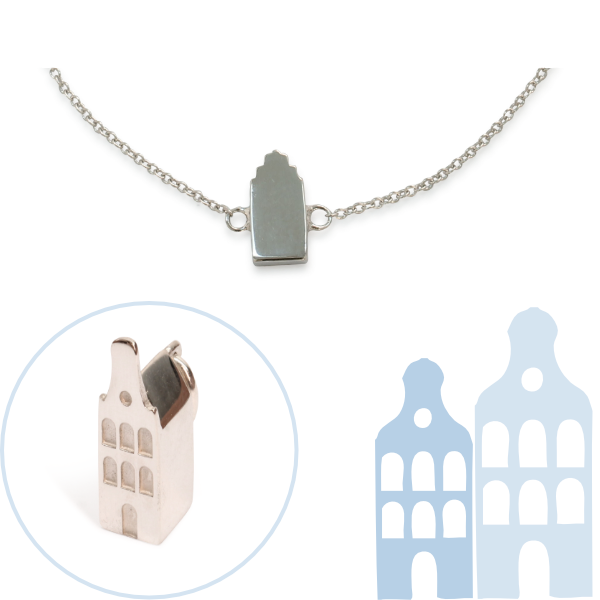 In the Minimio collection is a silver house charm. And both a necklace or bracelet with a canal house pendant. 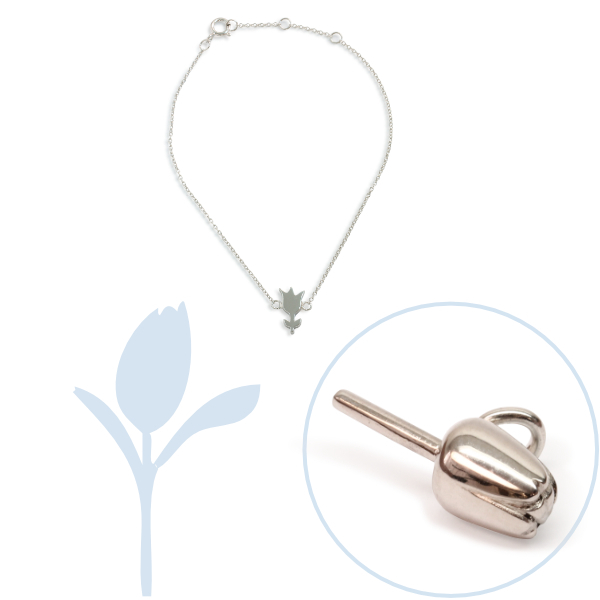 Minimio offers a silver tulip charm. And both a necklace or bracelet with a tulip pendant. Big chance that you wore clogs not long ago. Ok, no traditional wooden shoes. But probably “Crocs”, or something similar. These plastic shoes are inspired by the traditional wooden clogs that are worn for ages, especially on the countryside. Now not only available in wood, but also in sterling silver. 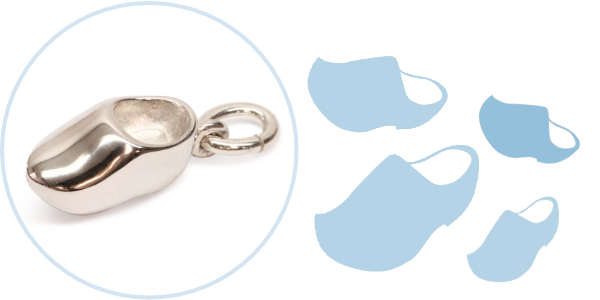 For now Minimio only has a wooden shoe silver charm. All jewelry is made of 925 sterling silver. The necklaces and bracelets can be worn on two lenghts. Each items comes in an original gift package. Ready to find a retailer? Find it here.